Erin N. Kolko is a partner at Temmerman, Cilley & Kohlmann, LLP. She joined the firm in 2005. Ms. Kolko's practice focuses on trust, probate, and conservatorship litigation, including but not limited to will contests, trust contests, financial elder abuse, fiduciary removal and surcharge, accounting disputes, reformation, modification, and interpretation of estate planning documents, disputed real property claims, contested conservatorships, and related civil litigation. Ms. Kolko handles every stage of litigation, including pre-lawsuit negotiation, discovery, law and motion, mediation, arbitration, early neutral evaluation, trial, and appeal. Ms. Kolko is admitted to practice law in all superior courts of California, all appellate courts of California, the Supreme Court of California, and all federal district courts in California. In addition, Ms. Kolko represents trustees, executors, agents, and beneficiaries in contentious trust and estate administrations, as well as assists clients with preparation of their personal estate plans, including living trusts, wills, durable powers of attorney, advance health care directives, nominations of guardians, and all property transfer documents. 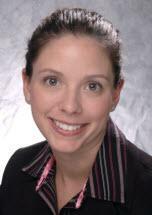 Ms. Kolko is also an Adjunct Professor of the Wills & Trusts Course at Santa Clara University School of Law.